Last week was one of those professional patient weeks, with three doctor’s appointments and a lab visit. “Professional patient” is not something I happily say. It started out in 2009 as a tongue in cheek way to make the most of an annoying phenomenon – spending several whole days per month as a health care consumer. So, I finally saw the dermatologist about the non-rash on my leg that has been present for 18 months and seemed permanent for nearly a year now. My GP had wanted the dermatologist to have a look at it since she was concerned that the rheum docs (Dr. Tylenol and partner Dr. Shrug) I’d seen over the past year and a half said they had no idea what it is. She and I both suspected what it was, partly because I’ve had other symptoms of skin vasculitis over the years. The dermatologist’s physician’s assistant (PA) who usually sees us is out on family leave so we saw another PA. My family has gotten good care there for years. The mom of my usual PA has rheumatoid, so I’ve shared with them about the Rheumatoid Patient Foundation (RPF) and the work I’ve done through RAW. The PA read my referral; listened to my report about the history with my vascular rash; and examined me. It sounds so simple. We waited 15 minutes. We never have to wait there because it’s such an efficient office, so we were laughing that perhaps she’d forgotten me. Then, she walked back in with a big medical book in her hand, “You have something called livedo reticularis. This can happen with immune diseases. I’d be suspicious that it was from lupus, but with your history, we know it’s related to the rheumatoid.” She knelt down next to me and read to me from the book and answered a few questions. So simple. I tried to hide it, but I think I looked more shocked than she did because even though I wasn’t even her regular patient, she was so concerned. That, plus hearing the confirmation of a diagnosis I’d long suspected. This story answers those who’ve asked me whether I got a final diagnosis on my leg, but it’s more important for the good example of communication. So simple. It reminds me of a great story Dana told the other day on the RPF blog about how her doctor has the heart of a teacher – click here to read. Note: Female gender is used for all healthcare professionals in this post, to help protect the identity of each. Dr. Tylenol Keeper or Loser: I’m Not Giving Up, But What Do You Think? I started having the same thing in the past couple of months. I showed my Rhuematologist, but she didn’t say anything about it, just that I needed to get a Dermatologist to see on a regular basis. So I went to the Dermatologist. Most of my odd skin symptoms that look like a mild vasculitis, she’d just say they were probably this or that, nothing serious. Then, I told her about my strange rash that looked like someone traced all of my capillaries. She immediately said that was most likely related to the RA, and ordered 4 blood tests that I’d never heard of, and that would take at least 2 weeks to do at the lab. Now, I’m just waiting. It’s funny that none of them would say what they thought it was. It may be because I’ve only been officially diagnosed since Dec-12, and they didn’t want to scare me. I don’t like being left in the dark so I Googled it, and found the accurate name. I don’t like being in the dark either Elysha – it’s funny when you think about it because we have to look at the symptom every day (or feel it) so we do know about it anyway… And we deserve the name to go with it. I have a rash on my legs also. I see the doctor at the end of June and I wonder if it is ok to wait that long to show him. As for pain….I am always in pain…and in Oregon, they now can only dispense 100 pills which I take sometimes 4 times a day. So 16 days later there I am again asking for a refill. Don’t they understand our pain? I have had a rash on my back for years and treat it constantly with salt baths, and the lotion called Borage. It works and it is over the counter. Problem, when the rash heals, it leaves brown spots and little red dots all over my legs. Then shortly it will start all over again. Congrats on this milestone symptom interpretation! Talk about an AHA! moment! Affirmations such as these can renew faith in our medical caregivers (aside from the fact that you had already researched and figured this out for yourself…haha!). It’s just a huge accomplishment to get it documented in your chart and, for that, you must be appreciative. Best wishes for finding yet another Rheum…possibly Dr. Perfect?!? Hugs to you! Glad you got this diagnosed, sorry it took a year and a half! Hoping you find a better rheumtologist. After working full time, I’ve decided to stay home with my kids. The job stress is causing me to have RA flares and more depression than I can handle and I don’t want to go on meds yet. The silver lining is going on my husband’s insurance means I have to change theumatologists. I am hopeful that the new practice though further away will provide better care and are more on the cutting edge of research and ways to help RA patients. I look forward to the change. Good luck Kelly and hope your symptoms are better managed. Amazing how your body gives signals that things aren’t quite right in there, we just need docs to listen! GRR!!! I can’t tell you how many times I have been in to the doctor…whether GP, Derm or Rheum with my legs all blotchy like that…with me in SHORTS and mentioning it to them…and they tell me something like “well, it’s a little cold in this office, it’s probably just your circulation” or something similar. Sad, sad, sad that I end up doing a lot of my diagnosing and then going to the doc and saying…ok, here…is this what I have? What are we going to do about it?? Thank you for this post. I didn’t know what it was, and now have a name for it. A tremendous example for the healthcare world. Imagine a health professional kneeling beside a patient with a medical book. So glad you got confirmation on this diagnosis. I left feeling more frustrated than ever. Never found out what it was. It lasted months and finally cleared, but it does come back occasionally. I guess if I had wanted my wrinkles filled he would have been more quick to respond. Oh for us to rewrite the way patients are cared for. I have this too, luckily my Rheumy told me what it was right away. I mostly get it when I’m cold so he is not overly concerned. Keeping an eye on it. He called it that name but then he also had another name for it, I’ll ask him next time I go. 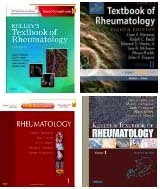 When I read your posts I feel lucky I have a good Rheumy! Glad you figured this out. I have this exact rash on my upper arms. It sometimes appears on my thighs but the upper arms are constant. Thank you for posting! I finally know what this is! I have had severe RD for 17 years now, and I have asked several doctors about the weird rashes I get. Some just seem to appear out of nowhere, and some have stayed for years. The only advice I have received is to use Cortisone cream, which does nothing. I am stunned. I knew in my heart that it HAD to be related to the RD, but could not get this confirmed. Thank you SO much for this information. I have something concrete to talk to my doctors about now. Thank you so very much. It’s amazing what can be so simple for one doctor and baffles another. This post has made me realize I really need to find a new rheum myself. I have been seeing the same doctor for 4 years with no real diagnosis. Just, “there’s some rheumatism going on.” I’ve never had any x-rays from him and he’s only ever tried old medications and when they don’t work or I can’t tolerate them, he has no other answers for me. These doctors know we rely on them, why do they have to be so frustrating? Crap, Kelley, is that what I have on my hands and feet???? I don’t google everything but after reading your post, I thought, wow, a purple lace like rash… that’s like my hands and feet. A mottled appearance that gets worse the longer I’m on my feet. One of the first images I saw looked exactly like my palms and soles of my feet. I have NEVER had a rheumatologist even look at my feet or my palms. Now, where can I find a good rhematologist who won’t just say RA doesn’t do that and you can’t have SI joint or cervical spine RA.. Anyone know a rheumy like that in central TN or north AL??? 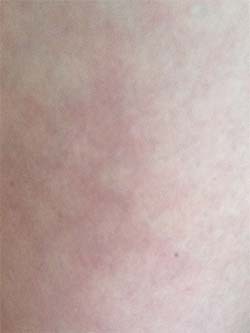 I have the same rash on my left leg – shin area. Finally realised what this is. It can be quite itchy. My GP saw it last month but was not sure what it is. The frustating part is when I talk to my Rheumatolgist about new problems – I get told that it is not connected to my RA – my back pain, my peridontal disease,my new rash. Lately I was told after a new blood test , that my RA is severe but I am never checked to see if my heart or lungs have been effected. Oh my kidney and liver problems are not from RA either. SO frustrating!!! I wish I could upload a photo for you ladies with personal expertise. It was encouraging reading a positive experience with a doctor. Glad I found this site again. I’m sure this isn’t the same as what you have, but I was diagnosed with this recently and it reminded me of you. I have the same thing going on with my foot. It started out very tiny & started after I had some intense foot pain for no reason. X-rays were done & arthritis was seen & the urgent care Dr said she thought I probably had RA, but the weird rashy non-rash was ignored. I saw my family Dr after that & he ran blood tests for lupus & rheumatoid factor. Ruled out lupus, had slightly high rheumatoid factor, but normal CCP. Continued to have joint pain in nearly all my joints by this time, but right side had more pain. My family Dr didn’t know what the discoloration was. Was referred to a rheumatologist. I had a very good day that day with hardly any pain & he said I probably had RA but he seemed hesitant to officially diagnose it. He wants to see me back in a month & he had no idea what the discoloration on my foot was, which now covers the entire top of my foot & some of my ankle. I continue to have daily pain of varying degrees & it gets waaaay worse the more I do. Thanks to your website here, I’m pretty sure the discoloration is from this livedo reticularis. I wish it was easier to diagnose this & RA, because I’m positive I have it & don’t want permanent damage because I wasn’t able to start treatment soon enough. Pain meds don’t even seem to help much. Any thoughts? I have this same thing and came to your post through Google. I was getting panicked, but I’m much calmer now after reading about your experience. I have psoriatic athritis, not rheumatoid but mine presented itself similar to yours and was also on my leg. Thank you for posting this and I will bring it up at my doc appointment next week. Hi, I am a 19 year old and I have had this problem for as long as I can remember. My legs aren’t veiny when I am laying down but once i get up, the veins appear. I also have this weird non-itchy rash on the bottom of my front ankles. For years, I have visited numerous doctors who would always get somewhat frustrated and angry at me, emphasizing that it was just something I was born with and that there is nothing I can do about it. I hate bringing it up anymore because the first reaction I get is usually confusion because dermatologists are not used to dealing with skin problems in teenagers other than acne. I always feel misunderstood and usually dissolve into tears when I think about it. I notice this condition in a lot of red heads, and being a red head myself, this makes me wonder if this is connected to our being pale or our MC1R gene. I’M the one who finally discovered that I have Livedo Reticularis (LR), not my doctors, which makes me feel so angry toward our medical system. Thank you so much for posting this because it makes me feel like I am not alone in my fight toward uncovering answers. Wow. Just discovered this website by accident. I have this rash all over, my arms legs and chest. It caused burning pain when i move. I was finally diagnosed with RA in October of 2015. It took almost a year before to figure out what was wrong with me and get the right blood tests done from my primary care. My symptoms varied each time I visited, but my primary complaint was burning pain in my legs, arms and hips, with fatigue and a low grade fever in the afternoon. Finally the nurse practitioner ordered a bunch of tests that showed my SED rate sky high, and a RA factor. They sent me to an RA specialist and his diagnosis after doing more tests was Vasculitis and that it was a form of RA. He put me on an aggressive therapy of Prednisone, Plaqenil and Methotrexate. all which lowered my inflammation rate and pain. so now he’s lowering my dosage first he took away the Prednisone. then my eye doctor said no more Plaquenil because I have glaucoma and my tests show damage. Now I only take methotrexate once a week. The pain is returning but not as severe as it was in the beginning. The bad news is now I have caught a cold and have to go off my meds completely. Afraid of what that could mean. I have the rash still but not as much pain. Maybe I’m in remmisson? Very confusing disease.